Writing a book for marketing and sales purposes is one of the most impactful things that you can do for your business. I have written a number of marketing books that are currently generating money and opportunity for my business on a weekly if not daily basis. Years ago to be an expert you had to have some kind of credentials. You had to attend a college or get a certification or be “knighted” an expert by someone in a position of authority or power. These days you just have to do the work to be an expert. You need to know and love your topic with a passion (and hopefully 10,000 hours of work towards mastery). But just being knowledgable does nothing without sharing that knowledge with other people. When you write a book and put your name and reputation on the line. You are putting a stake in the ground and claiming your expert right. The cool thing about this is that even writing is now about doing the work. You don’t have to wait for someone to give you permission, you can just start writing and then “voila” you will be a published author. Getting published is no longer the un-overcomable challenge it once was. Back in the day you would have to write your book, print out a gagillion proofs, send it off to the big publishers and then wait for the rejection letters to start rolling in, possibly crushing your dreams of being a “real” author forever. Today’s publishing landscape looks tremendously different. First off you can publish in your own right using Amazon, iBooks or Kobo. Within 12 hours of hitting submit, you can have a digital version of your book online ready to start selling. This is how we have published all of our books and we have been super pleased with every one of them! The ease of getting your words into the hands of readers using self publishing is an amazing gift that was never available before. But what if you want a “book-book” to use as a business card or sales piece. I don’t know if there were always such helpful publishing houses in the past or if the competition from self publishing spurred the movement, but there are some really nice, helpful small publishing houses like Black Card Books who works with authors to help them publish and promote their books. These smaller publishing houses are not going to be buying pages for their authors in the New York Times, but we do find that they are much more aggressive about actively promoting all their authors (not just the top 2 or 3 who make the bestseller list). 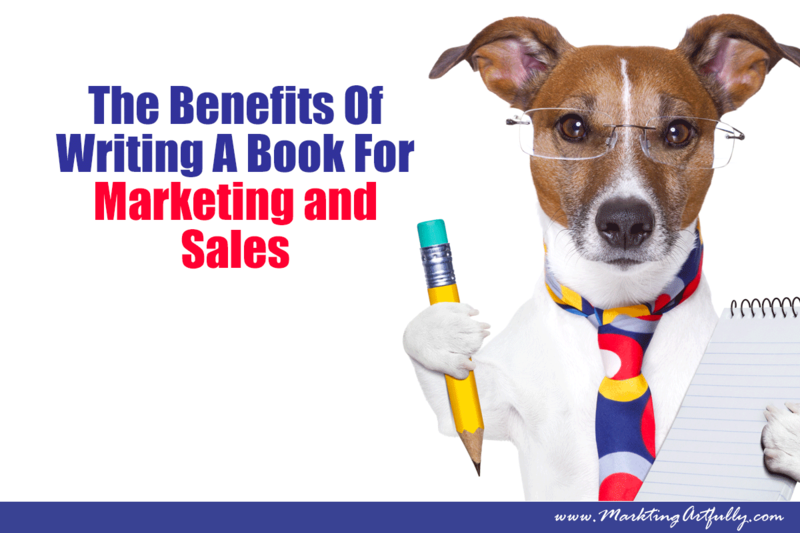 It is incredible what book writing can do for your sales and marketing efforts. If you are thinking about writing a book, stop thinking and just start it right now! 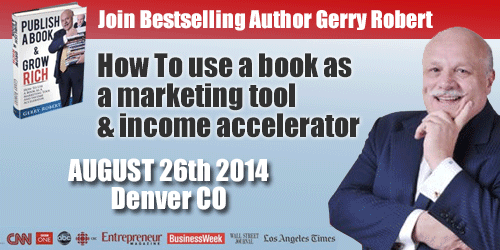 Gerry Roberts, Best Selling Author and amazing speaker is coming to Denver, August 26th! He will be here to talk about how to use a book as a marketing tool and income accelerator. Now, you know we are super strong believers in books and the ability of using a book to market different parts of our business.